How do you approach managing the cybersecurity of an event as massive and popular as the Olympics? 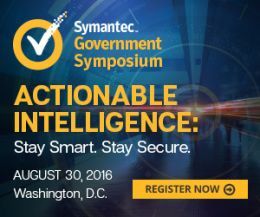 According to Symantec’s vice president for the Americas, Rob Potter, treat the event like a Fortune 100 company. Symantec is providing network security systems for the Olympic Games, an endeavor that has been years in preparation. The Summer Games in Rio de Janeiro kick off Friday. “The planning to be involved in and support the Games began right after London,” Potter said, referring to the 2012 Summer Games. He also added that the hosts of such an event would have to plan for the needed IT infrastructure. When it comes to the types of cyber incidents to prepare for, Potter said there are three main areas that corporations will worry about as well: insider threats, cyber criminals, and hacktivism/terrorism. London’s Olympics netted $1 billion in revenue, according to Potter, which tempts cyber criminals to get in on the massive influx of cash. This year, some of the cyber concerns stem from the state of cybersecurity in Brazil as a whole. Potter worries that the excitement of digitally participating in the Olympics will cause people to forget the dangers inherent in using their mobile devices while there. He also suggests that people don’t let their guard down, even when they get home a few days or weeks later. “That’s when this information is used in a fraudulent way,” he said. He said that if people want to better understand risks that happen in these events, Symantec, DHS, and other cybersecurity experts offer resources on their websites. “If you’re traveling overseas, I think it’s worth your while and a good investment to read some of these types of documents and take a good look at your personal device that you’re bringing,” Potter said.